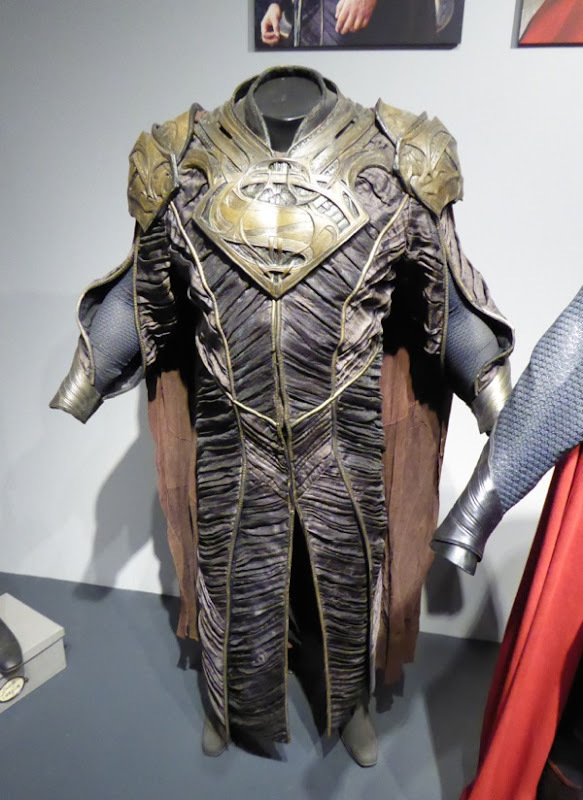 One of my favourite things about 2013's Man of Steel movie were the scenes that took part on Superman's home planet of Krypton, which previous origin stories hadn't really explored in great detail, so it was a refreshing addition to the iconic DC Comics hero's sixth cinematic outing. 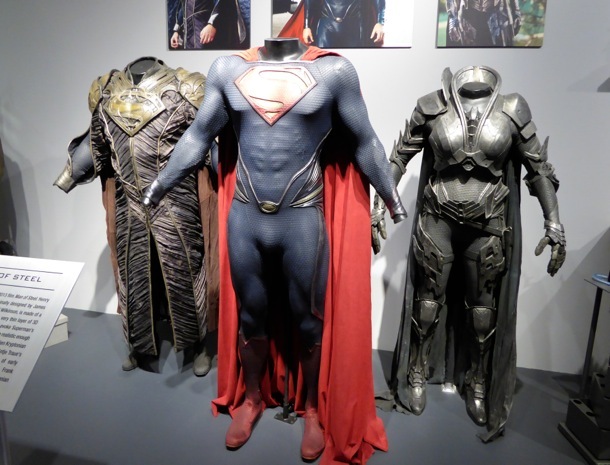 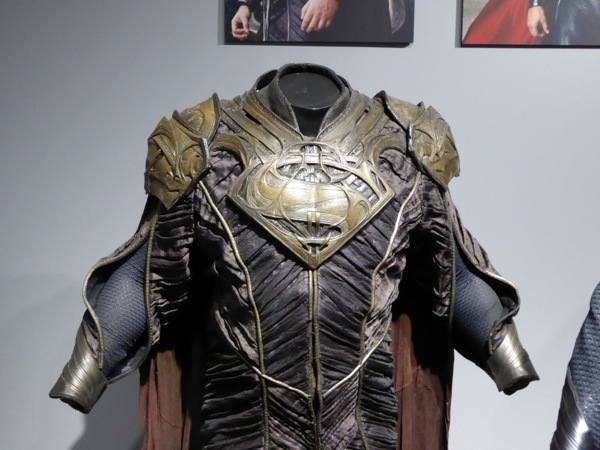 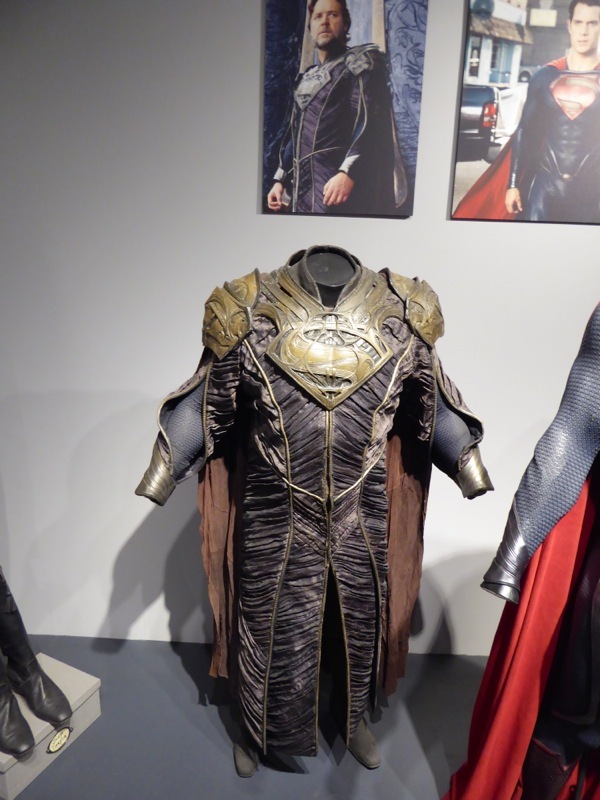 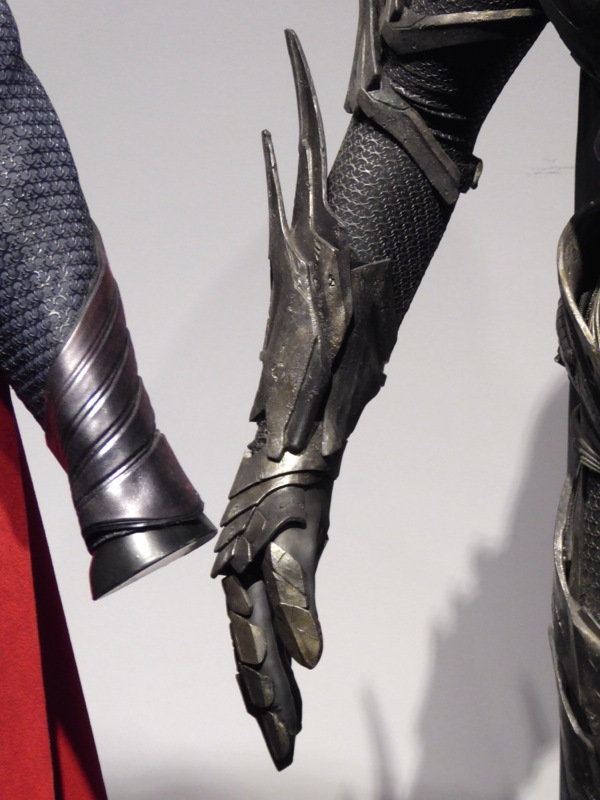 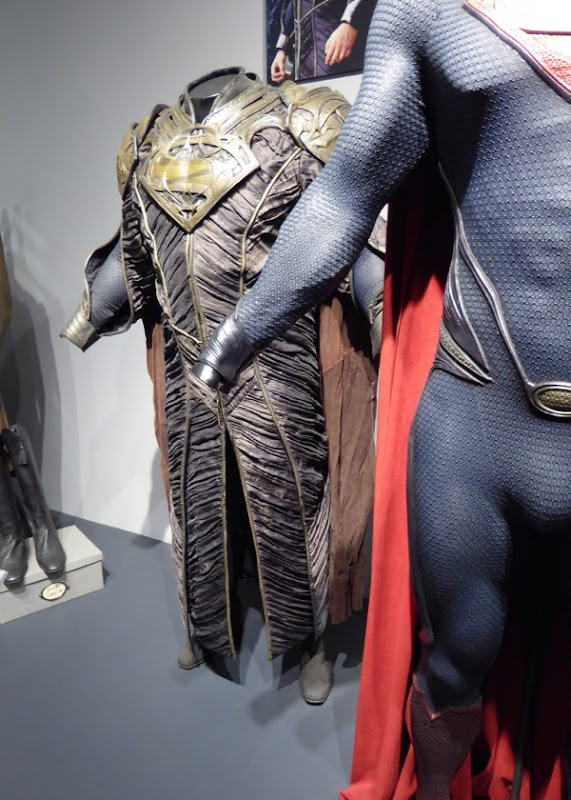 These costumes worn by Russell Crowe as Superman's father 'Jor-El', Henry Cavill as 'Kal-El/Superman' and Antje Traue's villanous Kryptonian Sub-Commmander 'Faora-Ul', were photographed on display on Warner Bros. Studios Backlot Tour in Burbank, California on June 9, 2016. 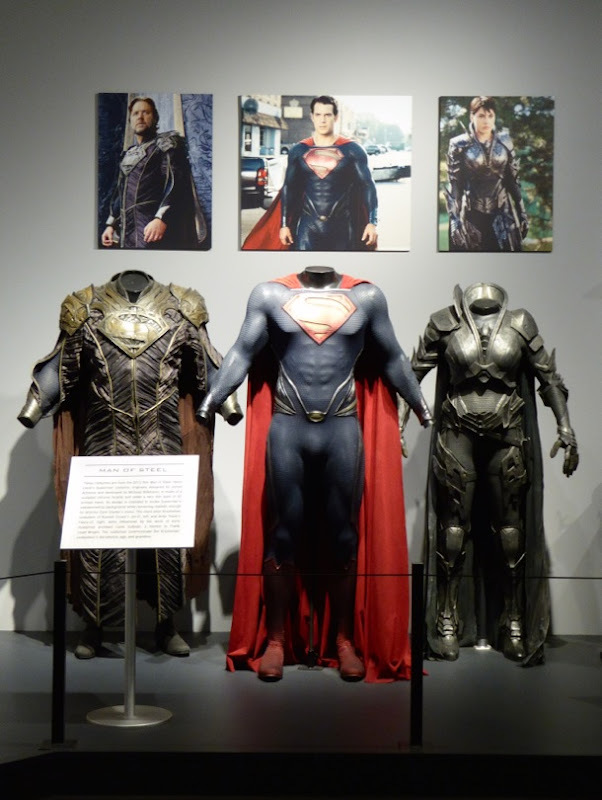 Henry Cavill's Superman suit was originally designed by James Acheson, then developed by Costume Designer Michael Wilkinson and is made of a sculpted chrome muscle suit under a very thin layer of printed 3D mesh. 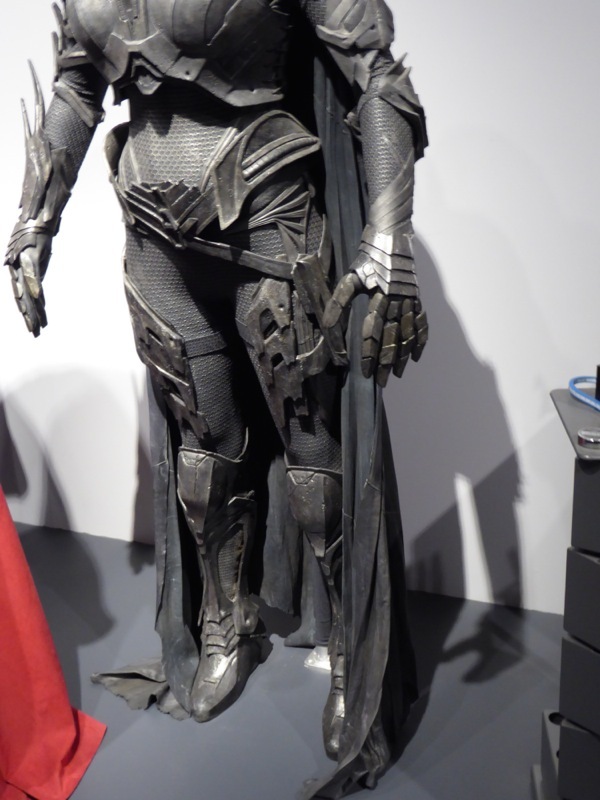 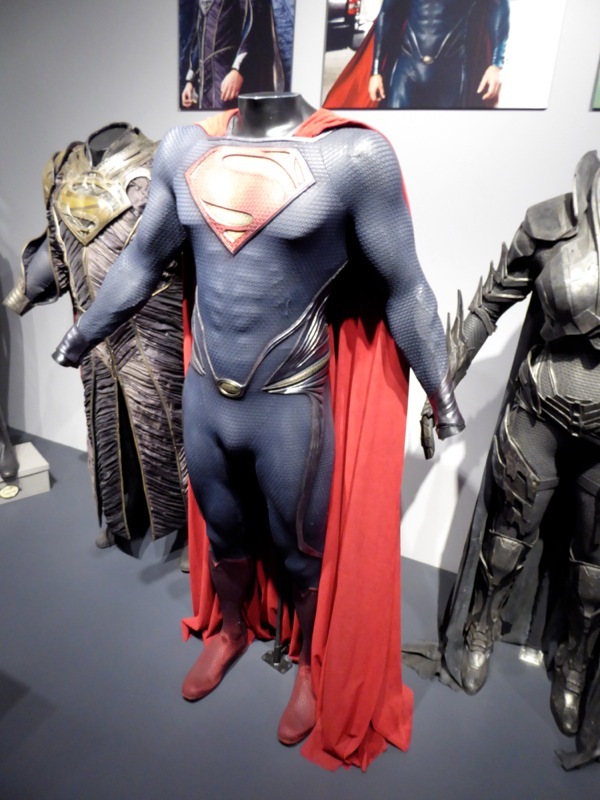 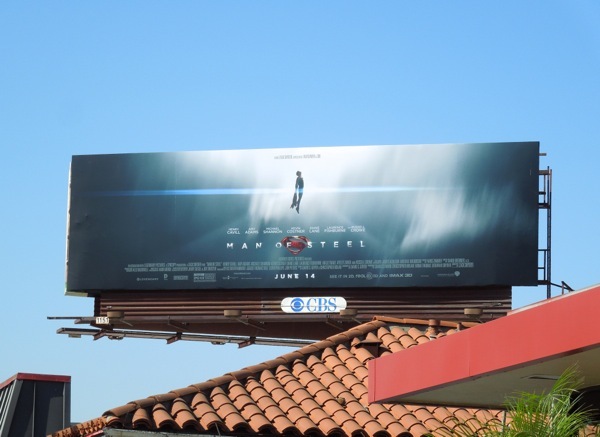 Be sure to check out the Man of Steel Superman costume in more detail on display at ArcLight Pasadena cinema back in 2013. 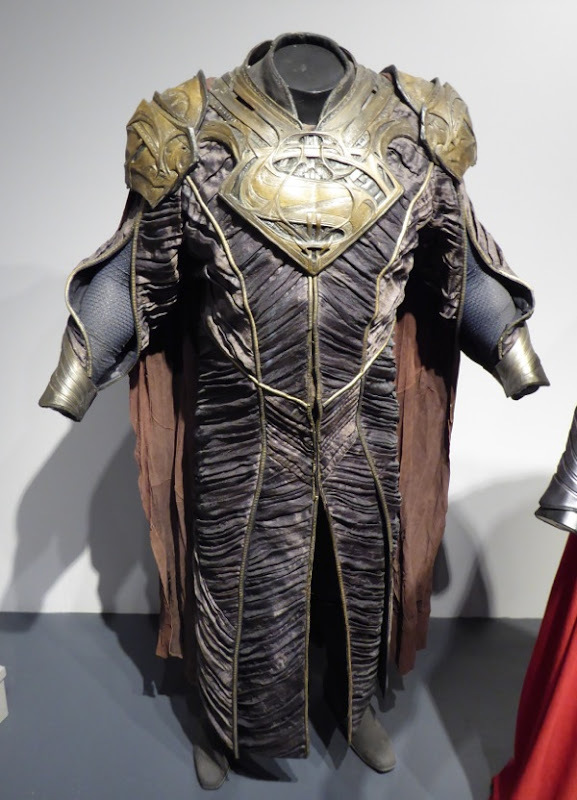 The alien Kryptonian costumes were apparently influenced by the work of early modernist architect Louis Sullivan, a mentor to Frank Lloyd Wright, and the designs are meant to convey the grandeur, decadence and longevity of Krypton's civilisation. 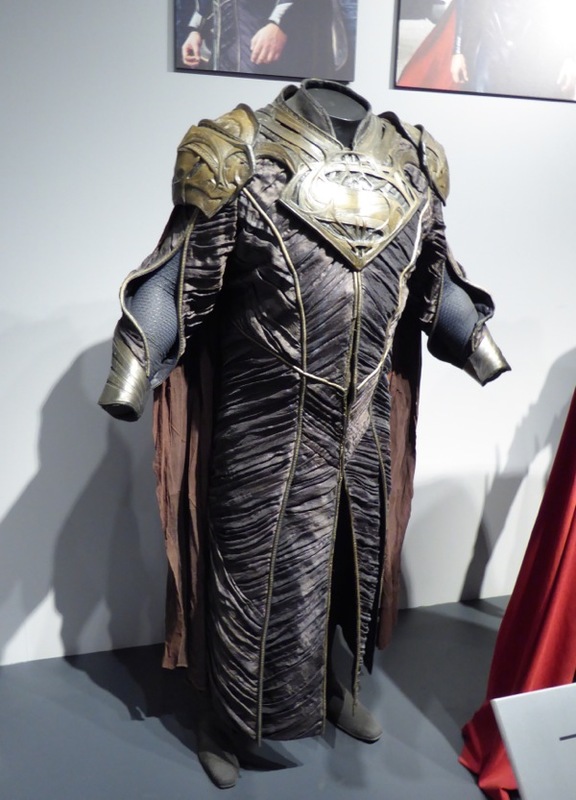 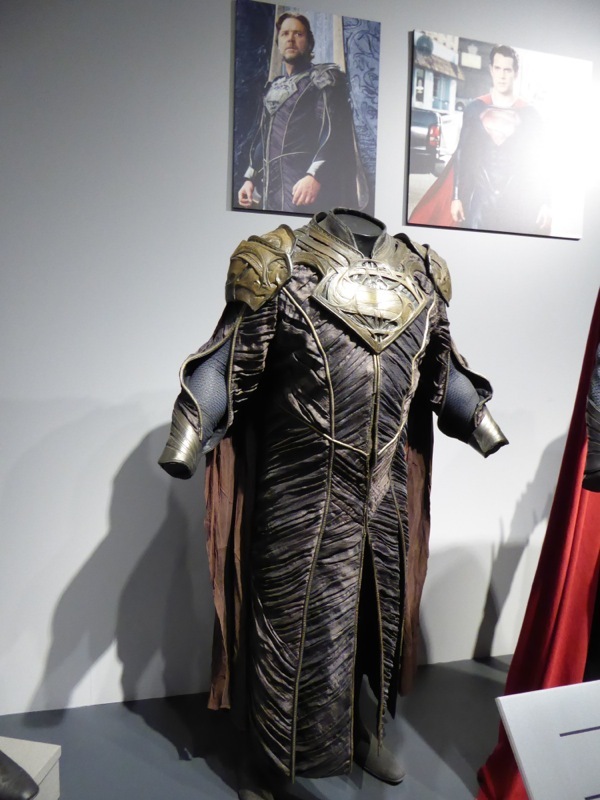 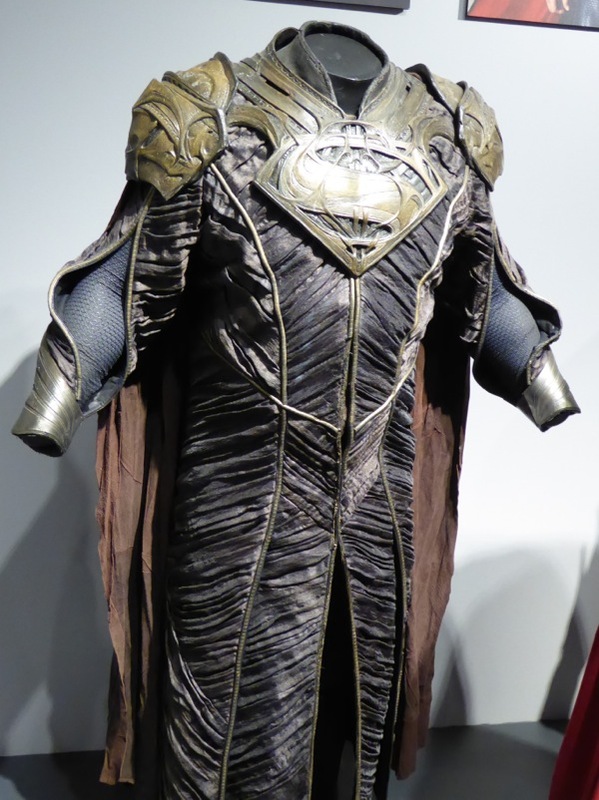 In the movie Russell Crowe wears this costume as Superman's father, Jor-El, an advisor to the planet's supreme council, who sacrifices himself so that his son's rocket can escape the destruction of Krypton. 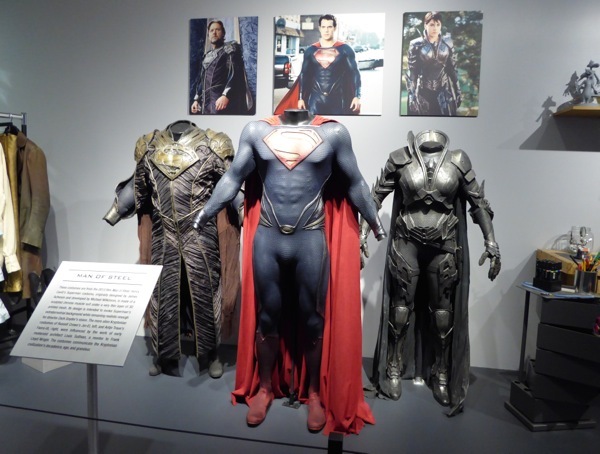 If you're a fan of the actor, you can also check out his Gladiator movie costume, Robin Hood movie costume, Noah movie costumes, Cinderella Man boxing costume and his film costume from A Beautiful Mind. 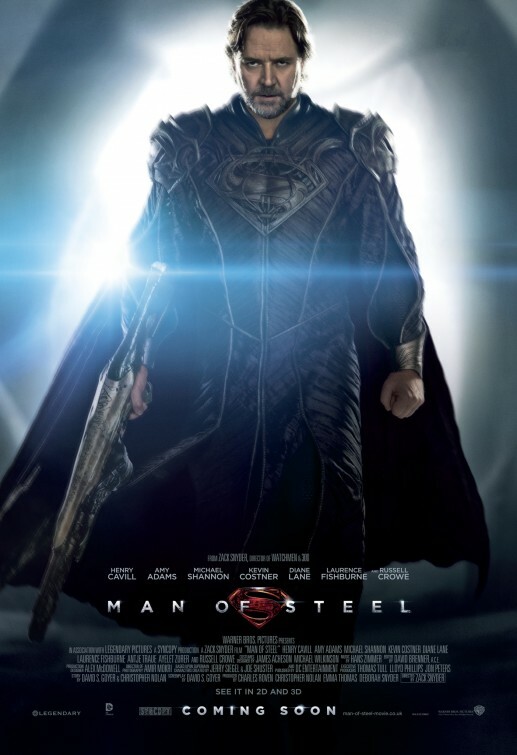 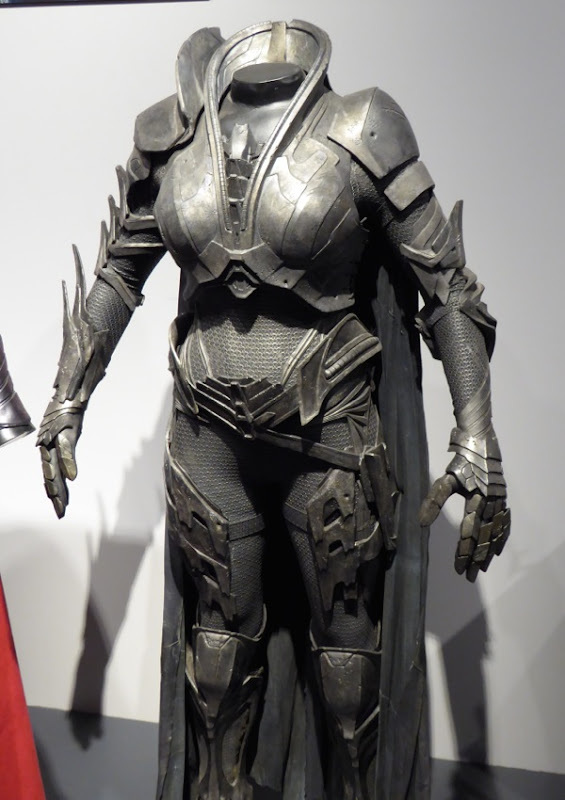 German actress Antje Traue plays 'Faora-Ul' in Zack Snyder's Man of Steel, one of 'General Zod's' trusted military lieutenants that was banished to the Phantom Zone with him and his rebel forces just before the destruction of Krypton, who escape their imprisonment and invade Earth. 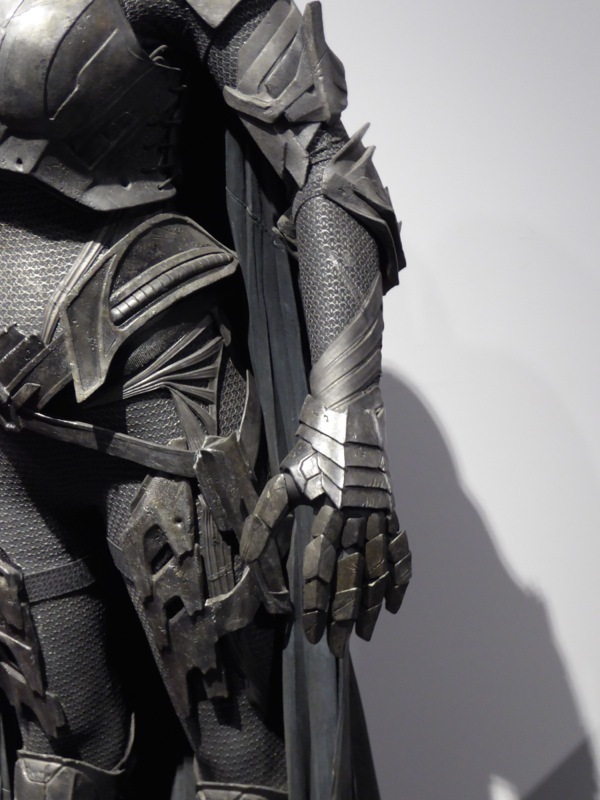 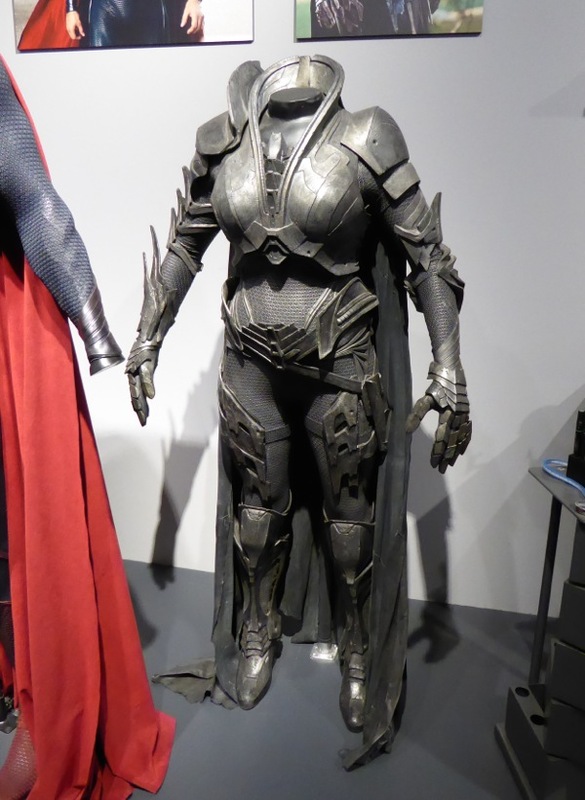 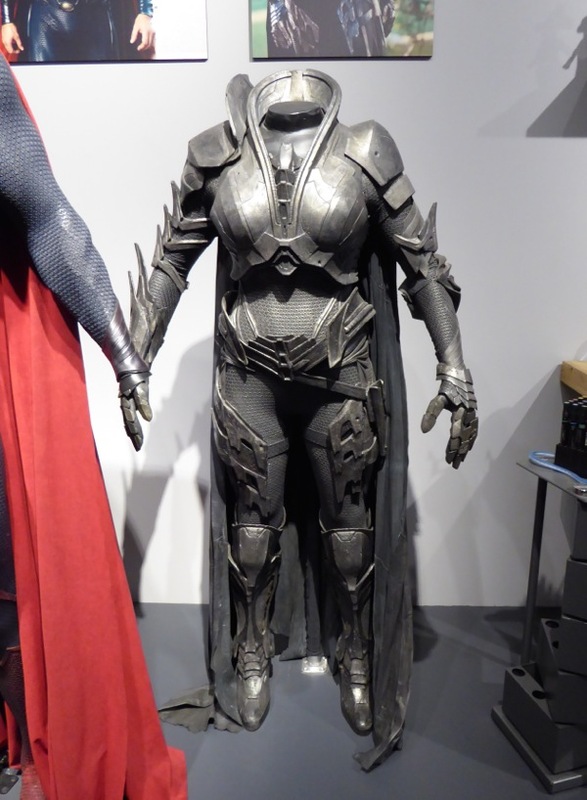 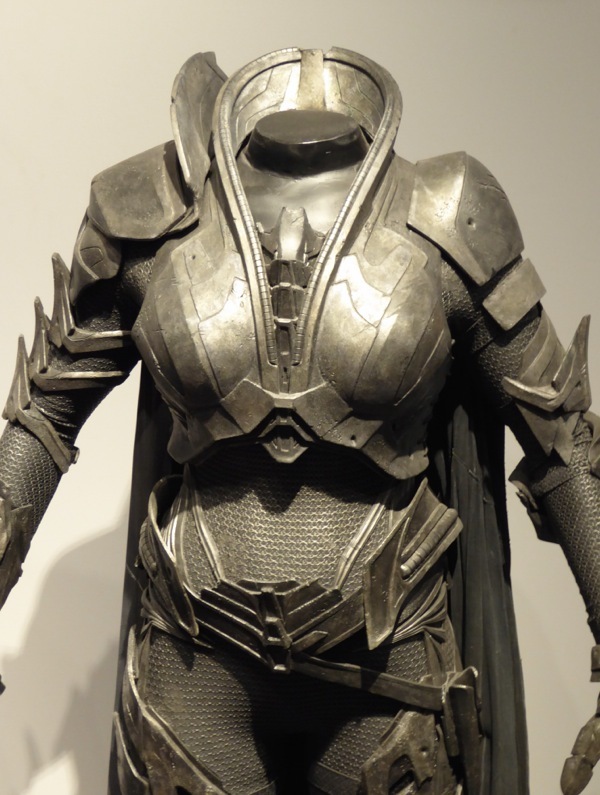 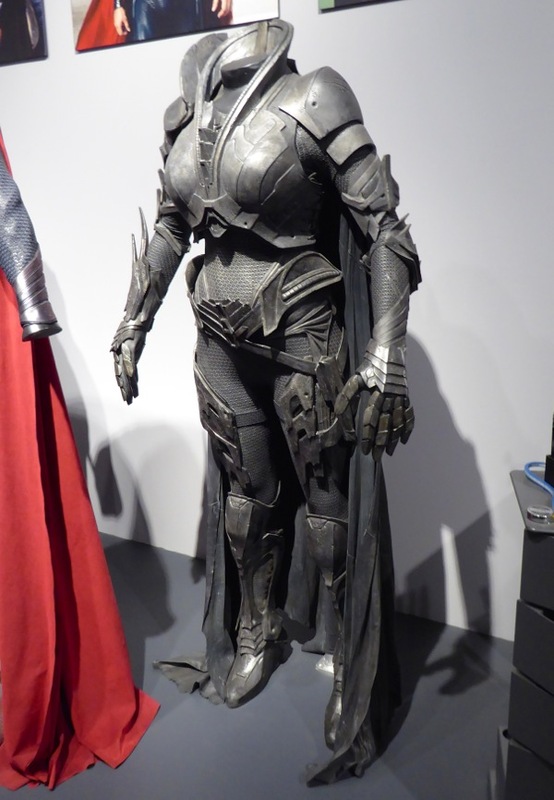 Her Kryptonian costume really does look like a metallic suit of battle armour. 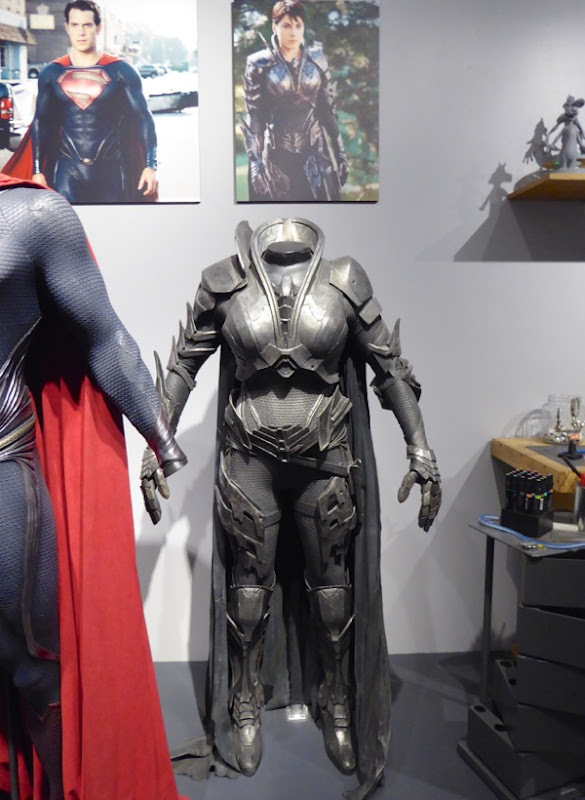 Come back soon for even more out-of-this-world costumes and props on display.